The usage of wallpapers had begun around the time of the Roman Empire. However, it was in the Victorian era that it was further developed and it gained tremendous popularity. 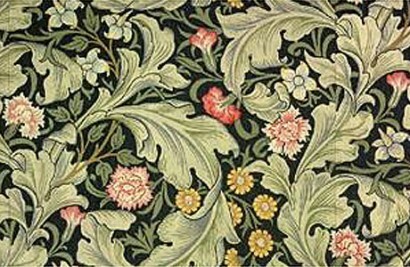 In fact the wallpapers were the main characteristics of the Victorian interior designs. It was this feature of the wallpapers that later became a style statement for most of the people using wallpapers in their homes. 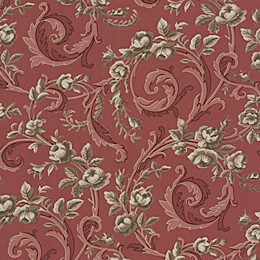 During the initial and mid stage of the Victorian period, floral patterns with red, blue and green background having overprinted shades of tan and cream were a common phenomenon. But in the 19th century, Gothic art, that is, rich earth tenor having leaf and flowers on them became a trend in all the houses. Printed paper was used on the ceilings and fabric on the chairs was such that it matched the color on the walls thus making it difficult in some cases to separate the chair fabric from the wallpaper color. However, during the last few years of the Victorian Revival, immense importance was given on the reproduction of genuine period wallpaper patterns that could be used in reinstalled designs. Though it was in the Victorian era that the wallpapers were developed, it was not until the 1920s that the wallpapers were at its peak of popularity. The 1920s was known as the Golden Age of the wallpapers. As the years went by there was an advancement in the methodology of making wallpapers. There was a new concept of stenciling the wallpapers. These wallpapers would be sponged and splattered and thus there a texture created out of it rather than just the paint walls as they had been in the previous years. The concept of sponging and splattering the walls was such a success that at times it was difficult to separate the wallpaper from the paint. Even simulating wood grains were used by the Victorians to decorate their walls.